The latest trend in on-the-go connectivity, smart watches are like a smartphone you can wear. Slip it on your wrist for easy email checking, call taking, schedule organising, music listening and more, all at the touch of a button or swipe of the screen. 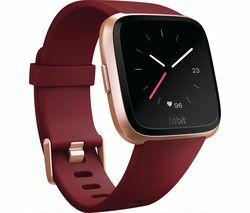 Smart watches are clever devices that can sync up via Bluetooth and NFC to your smartphone, tablet and other devices to keep you connected wherever you are. Get map directions, play games, chat via social media and more, right there via your watch face. Our smart watch range includes the biggest brands in smart watch design, from Apple Watch to Fitbit Smart Watches. Smart watches are fully customisable inside and out. Choose from a range of styles, watch strap colours and more – or slip on a watch strap of your own. Slim, durable, anti-glare screens can be customised to show digital or analogue watch faces that you can tweak to suit you. Download apps for even more options on the go, and never miss another call, email, SMS or social media notification thanks to a subtle vibrating alert. 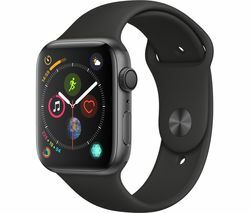 If you want to keep your schedule on track, keep in touch, and stay entertained on the go – without taking your smartphone out of your pocket – then a smart watch is the gadget for you.